Session 428. First every kitesurfing session in Western Australia and it did not disappoint! I headed out at Leightons Beach after having a drive around. Lovely water and excellent wind but very small waves. I kited down wind over a reef towards Cottesloe then back up wind. I did a couple of runs out to further to familiarise myself with the landmarks for finishing the Lighthouse to Leighton race. The big cranes at the Fremantle docks are the most prominent. Leighton beach is just to the north of them. Quite a few friendly kiters were around enjoying the condition. The guy in the Ocean Style surf shop provided me with a map and some good local advice. The dowwinder from Leightons to Trigg Point looks like and epic trip. 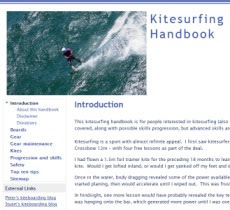 There were kitesurfers out at several locations along this section of coast, including just north of South Cott Groyne (nice grass rigging area and a shower) and Swanbourne Beach. There are lots of spots and the wind kept cranking until about 7 pm. This is kitesurfing heaven! Natalie arrived later and did one run out on her foil but was stung by some jellyfish as she returned to shore - ouch! Apparently there have arrived early this year. I plan to use my 3/2 wetsuit for the race which would provide good protection, but today I was fine in my shorty. The race has been rescheduled for Sunday as the weather forecast for Saturday is no good. We still have to load our gear for transport via ferry today by 4 p.m. so I am not sure I will fit in another session. Learning to foil at St Kilda - its hard!